This model has a gold slim steel frame with transparent dark grey acetate rims and the Gucci logo printed on lens and engraved on temples. 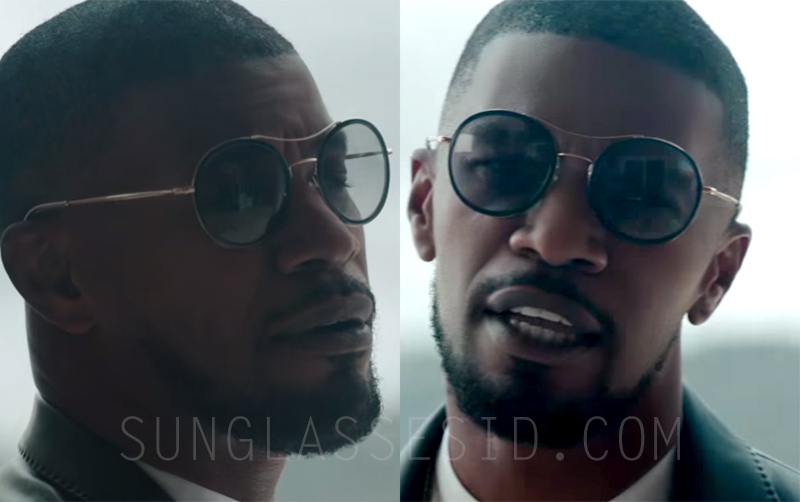 In the intro of the music video, Jamie Foxx is wearing another pair of sunglasses, but these Guccis are worn during the actual song. Chris Brown wears Tom Ford Rock sunglasses in the intro of the video and another (unidentified) pair of sunglasses during the song.